Suleman Mithaiwala is one of the leading providers of exotic and delicious Sweets. We excel in creating special and delicious treats for any event. Our sweets not only look attractive, but also taste amazing. In addition, they are packed in a special manner for everlasting freshness. We prepare and offer a variety of mouthwatering sweets, maintaining the superior quality standards and hygiene. Founded by Suleman about 80 years back, this outlet is now managed by his son Abdul Latif along with his three sons Irfan, Suleman and Abdulla. 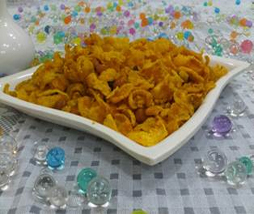 Our offerings include aflatoon products, mawa sweets, kaju sweets, general sweets, bakery products, milk sweets, Bengali sweets, cakes, pastries and other delicatessen products. Keeping in mind the health of our consumers, we prepare sweets in clean environment. Our consumers can also order their favorite sweets online and enjoy it at their place. In addition, we accept online payments through credit cards for your convenience. This has enabled us to gain maximum customer satisfaction.